This post was updated to call out that your Office 365 admin must explicitly enable users to sync SharePoint Online document libraries with the latest OneDrive sync client. This and other questions are addressed in an FAQ below. In today’s digital workplace, the amount of content produced is growing exponentially, and working relationships change by the day. To maintain productivity in this environment, it’s essential that people can easily access and collaborate on team files in and outside their organizations from anywhere, on any device. Today, we are excited to announce availability of several new capabilities in OneDrive for Business that make it easier than ever to sync, share and collaborate on all your files in Office 365. 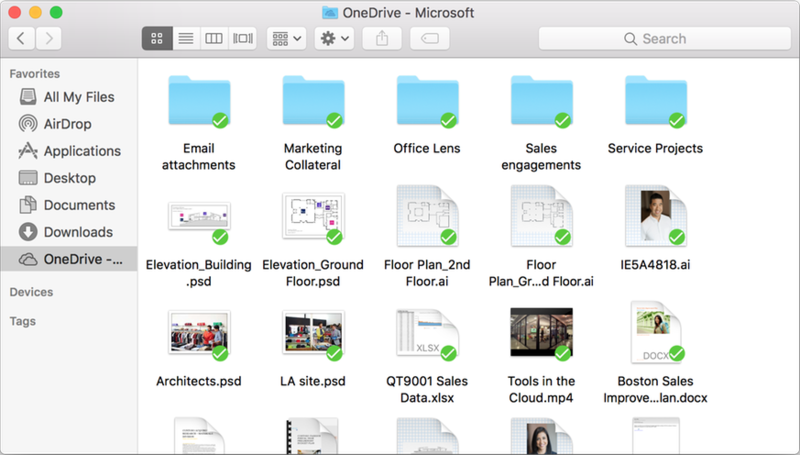 Organizations have been using the latest OneDrive client to reliably sync their OneDrive files to their PCs and Macs since its debut over a year ago. 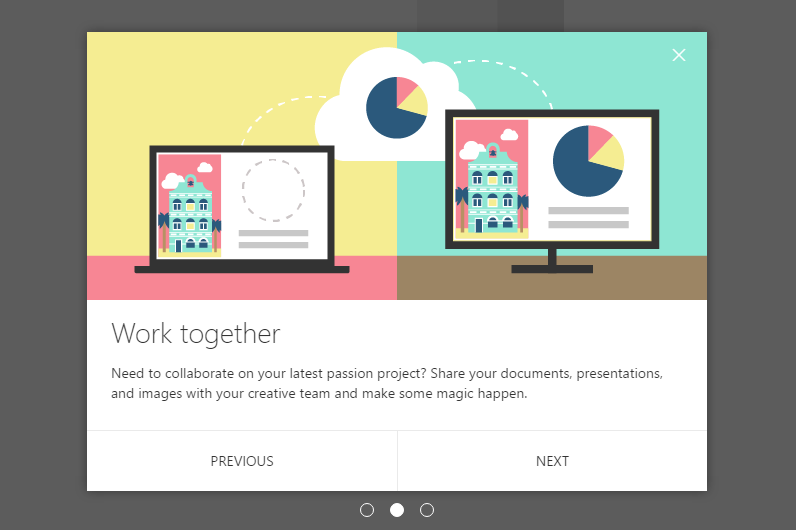 However, much of the team content they are collaborating on exists in SharePoint Online team sites and OneDrive folders shared by others. Today, we are enhancing OneDrive with the ability to sync SharePoint Online team sites—including files used inside Microsoft Teams, Office 365 Groups and OneDrive folders—shared by others across PC and Mac platforms. Now you can work with all your Office 365 files just as you would files stored on your PC or Mac—even when you are offline. Syncing SharePoint sites and OneDrive for Business shared folders—Making sure you have the information that is critical to you on every device no matter where you are is key to our customers. The ability to sync SharePoint Online team sites directly to OneDrive makes doing this easier and simpler for users. 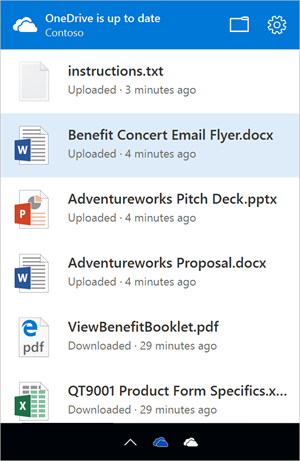 Additionally, you can now sync a OneDrive for Business shared folder. Note: Your Office 365 admin must explicitly enable users to sync SharePoint Online document libraries with the latest OneDrive sync client using the guidance below. As always, we remain committed to providing the most reliable and performant sync experience for all your files. Standalone Mac client—We’ve seen a significant increase of adoption and interest for OneDrive in the Mac community. But we heard feedback that IT admins want to be able to deploy and manage the OneDrive Mac client outside of the App Store. Now you can with the new standalone client for Mac. The standalone client allows admins to control features like enabling sync status as well as visual overlays in Finder, adding a Finder shortcut for OneDrive, and the ability to set up OneDrive sync to run at sign in. This latest client also has built-in multi-language support. You can download the standalone client for Mac file here. Activity center—The activity center is now available in the latest OneDrive sync client for Windows and Mac—giving you detailed visibility to the most recent sync activity and status. Simply click the OneDrive icon in your system tray (PC) or Finder (Mac) to see your file sync status and activity. If you are using our preview, the sync client will automatically update with these new capabilities including the new activity center. If you aren’t running the latest OneDrive sync client, or aren’t sure, read “Get started with the new OneDrive sync client in Windows” to learn more. Below is newly updated guidance to help get you up to speed with the latest OneDrive sync client and admin center features and functionality. Transitioning from the previous OneDrive for Business sync client (Groove.exe). Syncing SharePoint Online team sites. Collaborating on content is predicated on successfully sharing content with others. The OneDrive team is committed to making this process as simple as possible even when the user is outside your managed organization. A new onboarding experience—For users who are new to OneDrive, our new onboarding experience will guide them through common activities like uploading documents, using the mobile app and collaborating with others. Simplified sharing options—When users share files they now see a simplified sharing experience that keeps them better informed on the scope of their sharing and explicitly calls out if the recipients are external to the organization. The sharing pane allows them to easily modify this, including the ability to set an expiration duration on anonymous guest links. Streamlined guest access—When external users attempt to access a shared file that requires authentication and don’t already have an Office 365 or Microsoft account, they will experience a much-simplified account setup process that gets them to these files more quickly. To help IT admins better manage sync and sharing capabilities, we are rolling out the new OneDrive admin center. The admin center controls how and from where a user will access the files in OneDrive—that is device, location and app. Home—Admin center dashboard will soon show recent Office 365 Message Center posts and usage reporting related to OneDrive. Notification—Ability to turn on/off various notifications for your tenant. Once deployed to your tenant, all tenant and SharePoint admins will have permissions to access the OneDrive admin center at admin.onedrive.com. If you are ready for a deeper dive, check out our Microsoft Mechanics video on the admin center with Randy Wong from our product team. Office 365 continues strong growth with over 85 million commercial monthly active users. Many of these customers are moving to OneDrive for Business from on-premises file shares and other cloud-based solutions to empower their employees to intelligently discover, share and collaborate on files. “We wanted to enable colleagues who aren’t in the same physical location to work closely together in a safe, controlled manner, so we brought in OneDrive for Business and SharePoint Online. We’re replacing a number of unsanctioned cloud-based file-sharing services and on-premises file shares with personal OneDrive for Business repositories where permissions and access are more visible.” —Read the full case study. “Moving to OneDrive for Business gave us a more secure, managed place for document storage. We’re able to create policies to protect our data now that we have one standard solution that’s accessible to everyone.” —Read the full case study. You can also check out the case study on how Contiki Travel uses OneDrive For Business to connect with their teams around the world. To learn how you can make the move to OneDrive for Business, leverage our Microsoft FastTrack service—which includes no-cost migration services from on-premises file shares, Google Drive and Box for eligible Office 365 customers. As always, we want to hear from you and encourage your feedback on what is impacting you and your world. Please share your thoughts and ideas through UserVoice and the Microsoft Technical Community. Also, be sure to join us on Wednesday, February 1, 2017 from 9 a.m. to 10 a.m. PST / 5 p.m. to 6 p.m. GMT for an “Ask Microsoft Anything” (AMA) session on OneDrive for Business in the OneDrive AMA group. Add the event to your calendar. We hope to see you there! Q. How do I know if I’m running the latest OneDrive sync client? A. Once you follow the steps in “Get started with the new OneDrive sync client in Windows,” the client will automatically update when new features are available. See “OneDrive sync client release notes” for a list of the latest features and version numbers. Q. I’m running the latest OneDrive sync client, but why doesn’t it launch when I click “Sync” on a SharePoint Online document library? Q. Can I sync SharePoint on-premises document libraries with this update? A. No, but PC users can continue to use the original OneDrive sync client (AKA Groove.exe) until this is supported. No timeline for adding this capability has been disclosed. Q. Is there a 20K file limit on syncing SharePoint Online document libraries with the latest OneDrive sync client? A. The latest OneDrive sync client doesn’t have an explicit file limit. Q. How do you sync a OneDrive for Business shared folder? A. After a user shares a folder with you in OneDrive, navigate to that folder in the web and click the Sync button in the command bar, which will launch the OneDrive sync client.